Here we will show how to create (register) new Opportunity. Follow the procedure below to register Opportunity. 1. 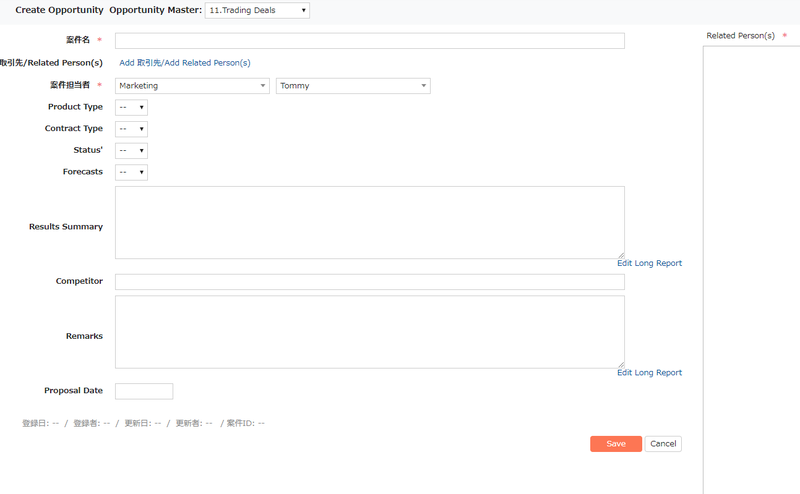 Select the Opportunity Master (for more details about Opportunity Master, see here). 3. Register Client Names and Related Person(s). 1. Select the Opportunity Master. From "Opportunities", select "Create Opportunity" (This can also be done from "Create new Opportunities" on the Details about this person screen). 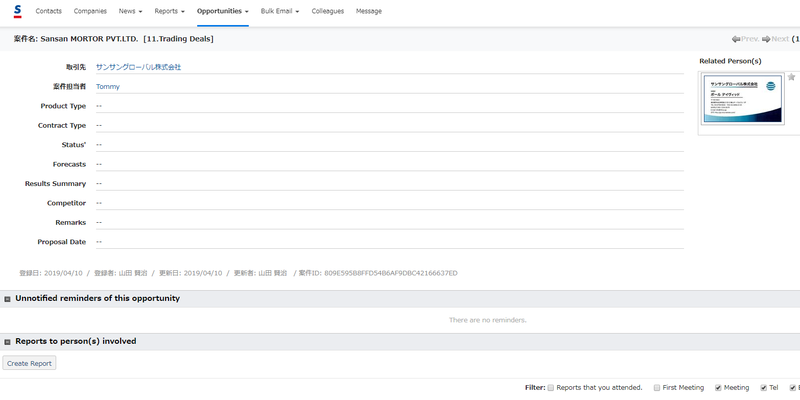 From "Create Opportunity Opportunity Master" list, a list of Opportunity Masters set by the administrator will be displayed. First of all, choose a Opportunity Master, and then input the contents of the Opportunity. 3. Register accounts and people involved. Click on "Client Names and Related Person(s). 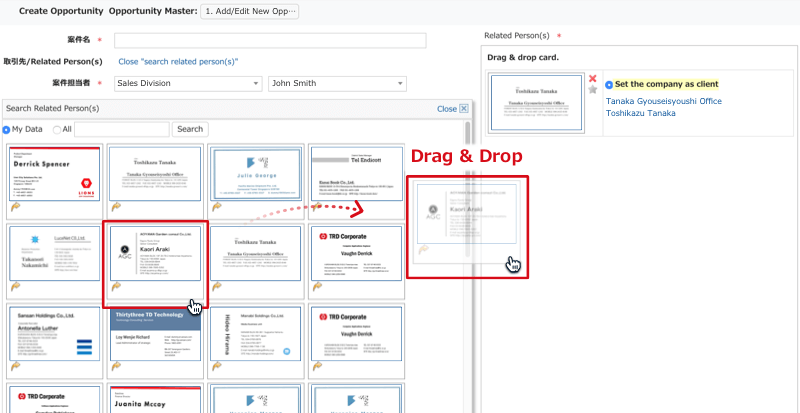 ", and drag and drop business cards into the Related Person(s) area. Up to 20 business cards can be selected. When "Set the company as client" is set to "On", the company name of this business card will set to be an client. After inputting the items, click on the "Save" button, and the Opportunity will be registered.